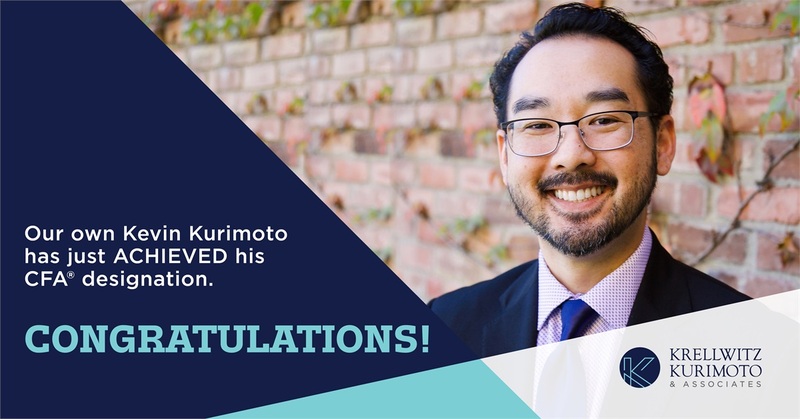 We would like to take this opportunity not only to congratulate our own Kevin Kurimoto on achieving his CFA® designation, but also to spread the word to our clients on what an accomplishment it really is. The CFA® designation is regarded by many financial professionals to be one of the highest distinctions one can receive in the investment management profession. The CFA Program is a self-study, graduate-level program divided into three levels of exams. Passing these exams is one step to becoming a CFA charterholder. The charter provides a strong understanding of advanced investment analysis and real-world portfolio management skills. This globally recognized, graduate-level credential is held by over 150,000 professionals across 163 countries. Fewer than 1 in 5 candidates becomes a CFA charterholder. It takes an average of over 1,000 hours of rigorous study, along with four years of professional experience, to earn the distinction of being called a Chartered Financial Analyst® (CFA) charterholder. CFA charterholders are trained to understand what drives value in all dimensions of your financial life. They have studied more than just the art and science of securities analysis and asset allocation. They can also have advanced portfolio management skills and the ability to work effectively with tax and intergenerational wealth planning professionals to design an investment strategy specific to your objectives. Please join us in congratulating Kevin on his huge achievement. Obtaining the CFA charter demonstrates Kevin's commitment to being an ethically accountable investment professional with advanced knowledge of investment analysis and portfolio management skills.